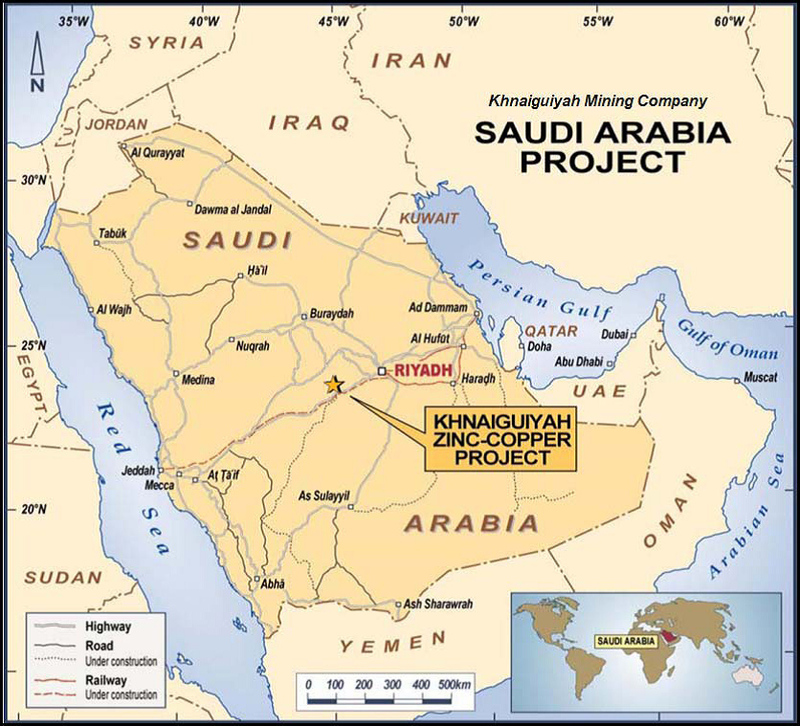 The Definitive Feasibility Study (DFS) for Khnaiguiyah was completed in April 2013, and confirmed a technically and financially robust project with a mine life of 13 years at 2Mtpa. First production is targeted for Q4 2015 at an average rate of 80ktpa Zinc and 5.8ktpa Copper over seven years. Capital expenditure is estimated at US$257 million with a rapid payback of 2.8 years. Refer to the ASX announcement of 30 April 2013 for further details on the DFS. After successfully completing a DFS, the project stalled when the former mining licence holder reneged on its commitment to transfer the licence to the Khnaiguiyah Mining Company and prevented construction of the mine from proceeding. That impasse was broken when the mining licence was eventually cancelled by the Saudi government (refer to Alara’s ASX announcement dated 22 December 2015), thus opening the door for a new licence to be issued. Alara still holds the DFS, which was fully funded by the Company, and is now uniquely positioned with Bayan Mining Company to commence construction once the licence is reissued.